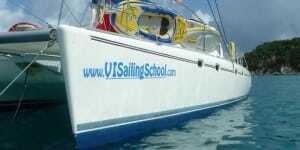 Directory of American Sailing Association sailing schools located in US Virgin Islands where you can take beginning to advanced sailing lessons. You deserve a sailing vacation where you are attended to and get the best expertise. 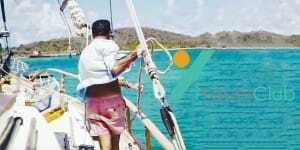 At our school, you get to explore one of the best sailing grounds in the world: the Caribbean. Your journey will specifically focus on the beauty and diversity in the U.S. and British Virgin Islands. Charter House is the accredited school that oversees all the charter yachts, captains, and crew. Because we are locals, we draft an itinerary, based on your interests, that highlights the locations you’ll want see and activities you’ll want to do. Our classes helps new sailors to captain, bareboat charter, buy a boat, gain experience and/or all the above. We are the only sailing school using 2015 or newer boats. We visit St Thomas, St John, Virgin Islands national park, Tortola, Jost Van Dyke, Anegada, and Virgin Gorda, while snorkeling, sailing fast, touring epic trails, eating lobster & Caribbean cuisine, enjoying nightlife and anchoring in secluded bays.